Hi everybody my name is Flint and have grown up around Glastrons my whole life. 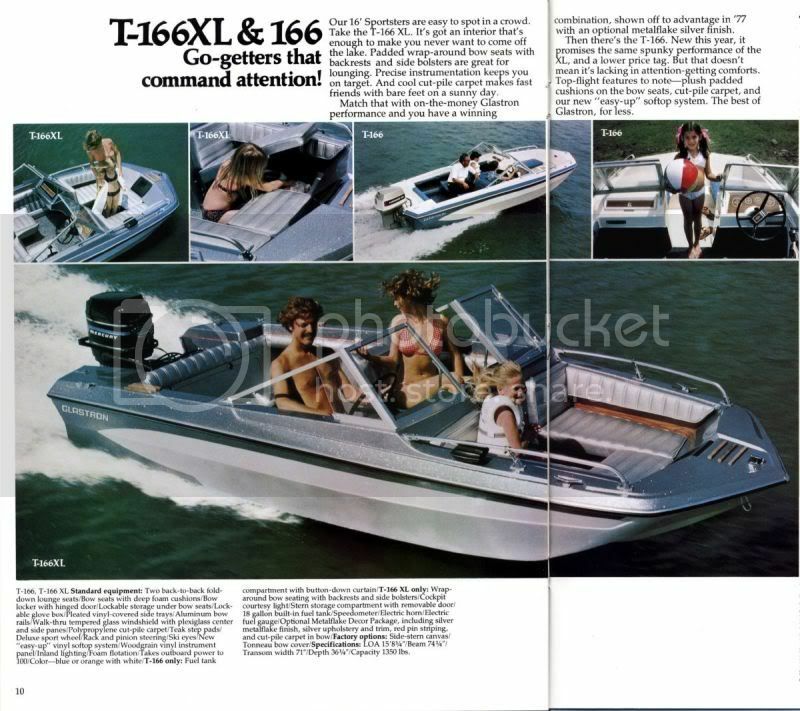 My first love was a 1971 v166 starflight white with green trim and 1970 Evinrude 65 Triumph. My current girl was a rare find for me and it is 1977 T-166 Sportster XL White with Blue Metalflake Trim and Blue Interior, It has a 1992 Johnson 70. I just bought this rig and found out we are the third family to own her. She is all original except the convertible top is missing. Anyway just wanted to introduce myself. Re: New Member from La Crosse Wi. Very cool boat. I bet that 70hp moves it along quite well! Always great to have another member! Welcome!